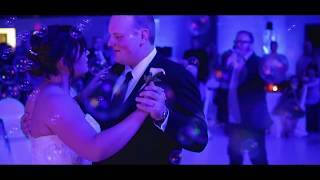 Hypnotist Corrie J with LCD Productions provides a Wedding DJ like no other. Hypnotist Corrie J and his team have entertained at a lot of weddings over the years and know just what it takes to keep wedding guests engaged and make sure that the bride and groom have the best party possible. 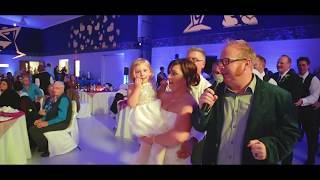 Wedding DJ and full Wedding Entertainment Show! For full Wedding DJ packages, Hypnotist Corrie J teams up with LCD Productions to create the perfect theme for your wedding celebration. From lights to effects, to music and fun added extras, photography and videography, we take care of all the little details so you don't have to. 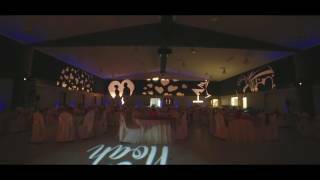 We are the Wedding DJ company that goes further to make your night exceptional! Imagine celebrating in an elaborately lit venue to match your theme and colours, livened by some pyrotechnics (indoor or outdoor) and a fun, interactive hypnosis show starring the bride, groom or wedding party. During the reception, set the tone with intimate background music for ambience that allows for conversation. Sound like a wedding celebration you've dreamed of? We believe you won't find another Wedding DJ that will entertain on your night as memorably as Hypnotist Corrie J and LCD Productions. Contact us with your dates, budget and theme and we'll get back to you with your perfect Wedding DJ package. Hypnotist Corrie J entertains at events across western Canada and into the US. Give him a call for your event in and around Saskatoon, Regina, Winnipeg, Calgary, Edmonton and the western United States.